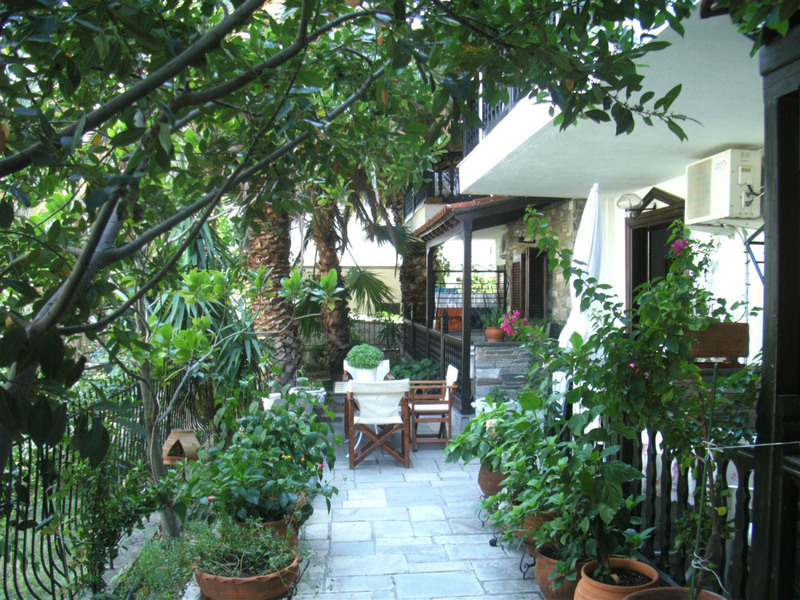 At the seaside town of Neos Marmaras you will find PAPATZIKOS TRADITIONAL GUESTHOUSE. 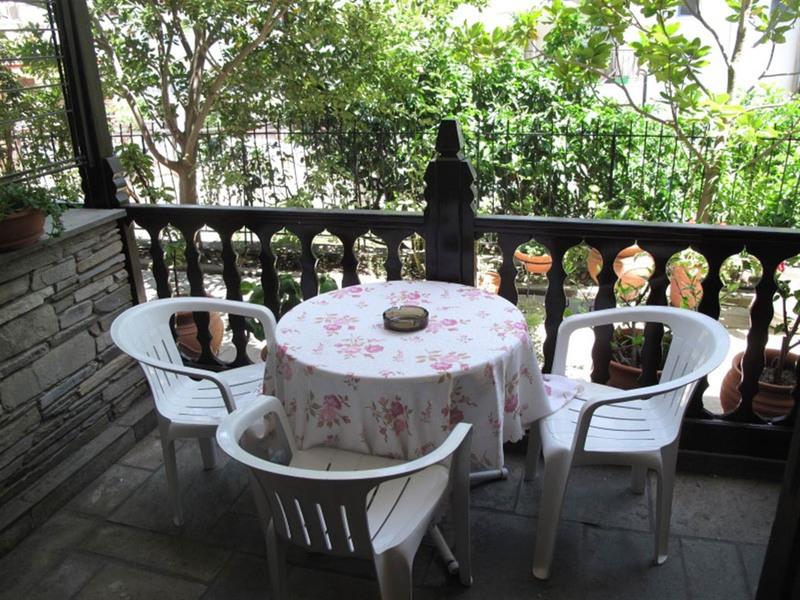 It is a traditional structured 3-floor accommodation unit, adapted to the needs of a modern guest house, ready to welcome you all of the seasons. 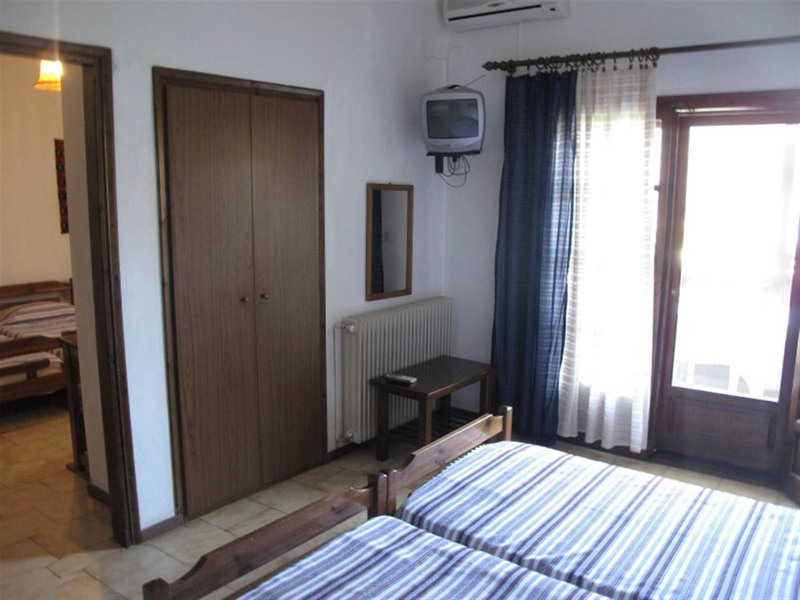 Its accommodation capability is five (5) double-bed rooms , three (3) triple-bed rooms, one (1) four-bed room and an apartment with two rooms with four + one bed. 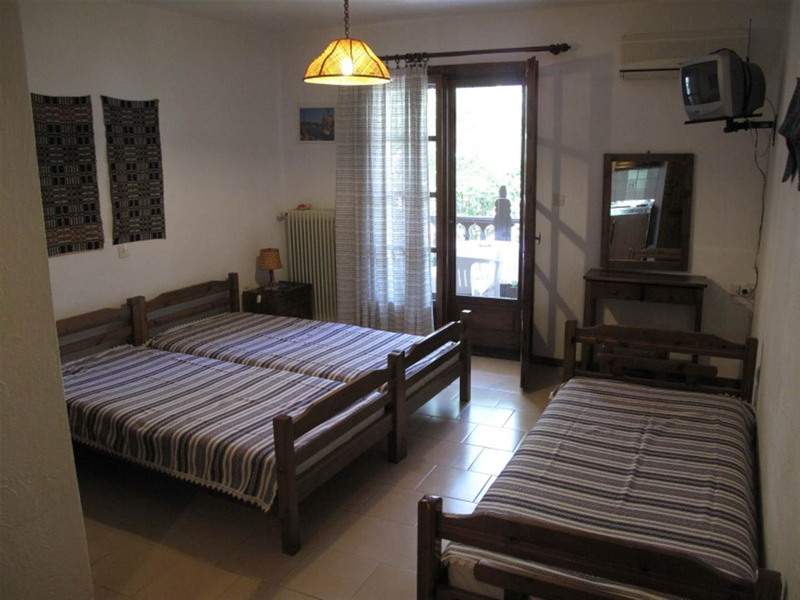 All the rooms provide W.C., T.V., air-conditioning, fridge, kitchen and parking. Also Wi-Fi Internet connection is available. 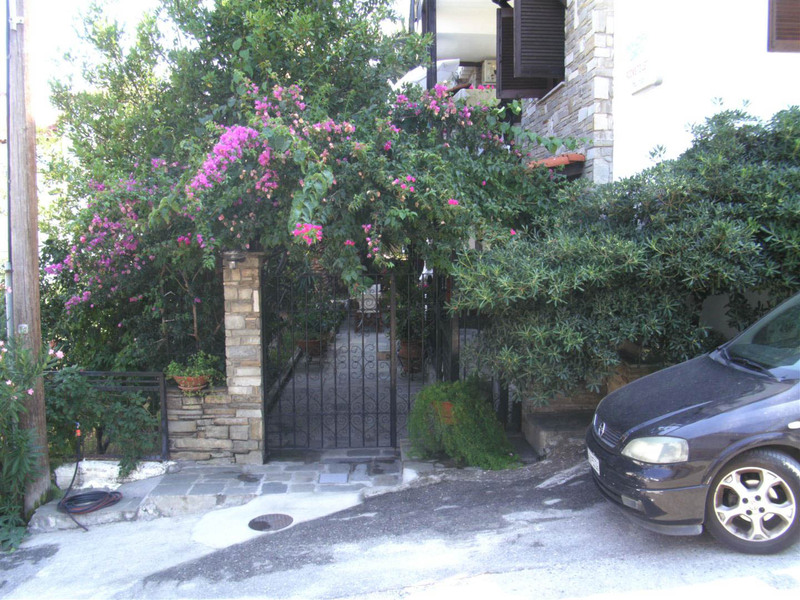 “PAPATZIKOS HOUSE” is the perfect starting point for interesting escapes to the extensive physical environment and the surrouding area. 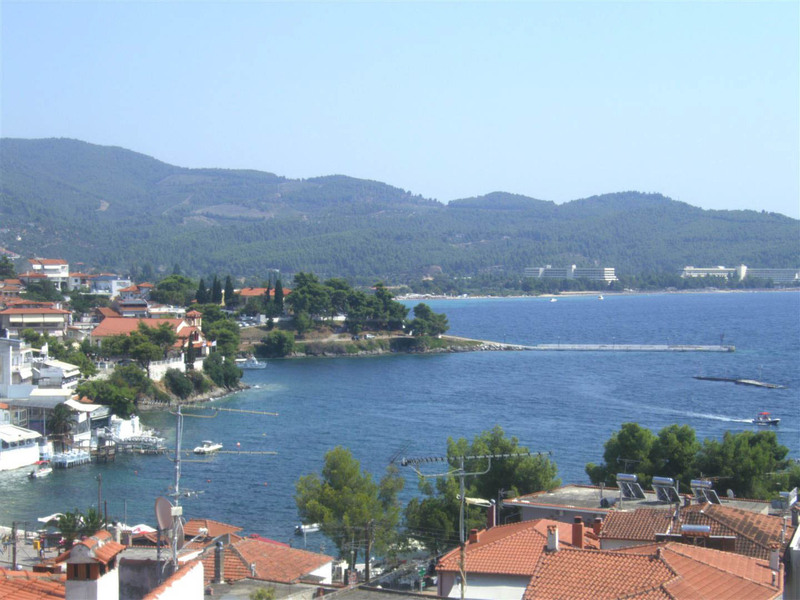 You have easy access to all of the magical beaches of Neos Marmaras and Sithonia, plan daily cruises to Toroneos Gulf and Mount Athos, visit the traditional settlement of Parthenonas and archeological places of Halkidiki. Also for sports and action lovers in 2km of distance you can find a golf course, tennis courts, horse riding, water sports and diving club. 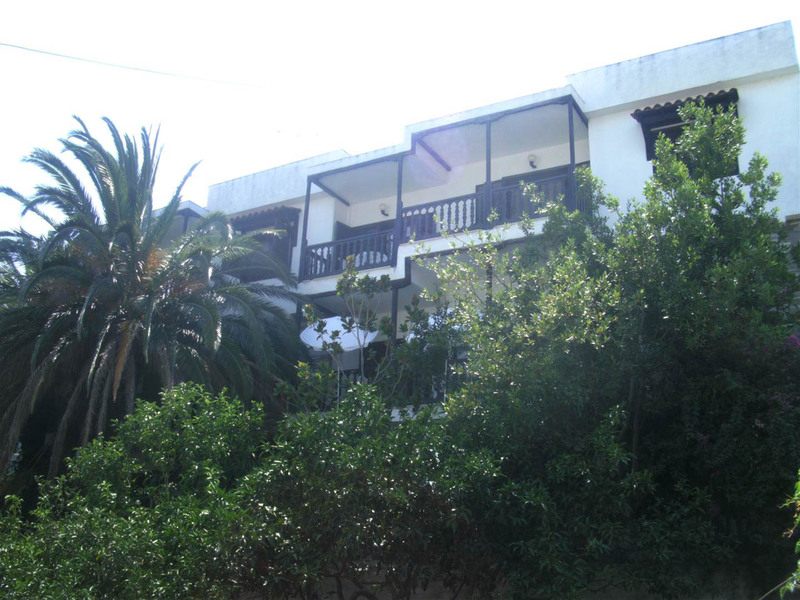 The traditional colour and the contemporary comforts together with the friendly smile are in your disposal to make a different relation with the area, the building, the sea, the people and finally with your self. 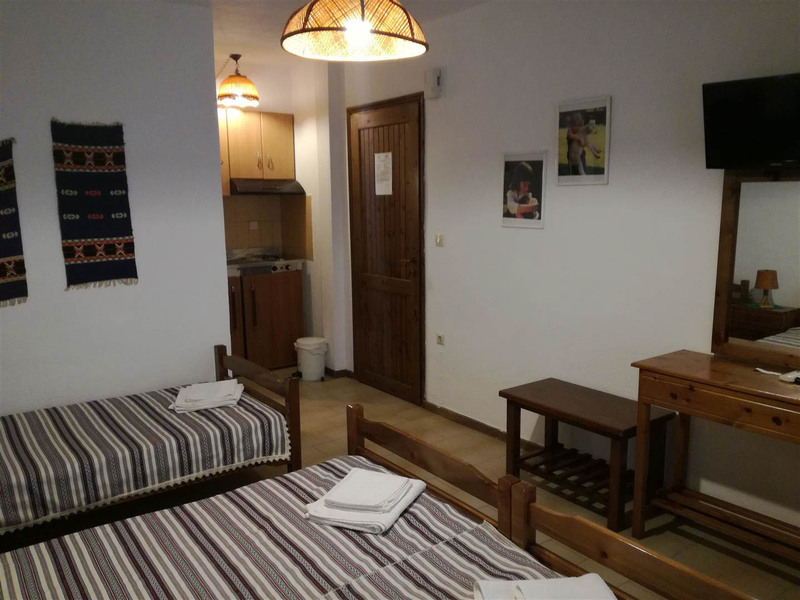 Photo gallery and information of our traditional rooms. 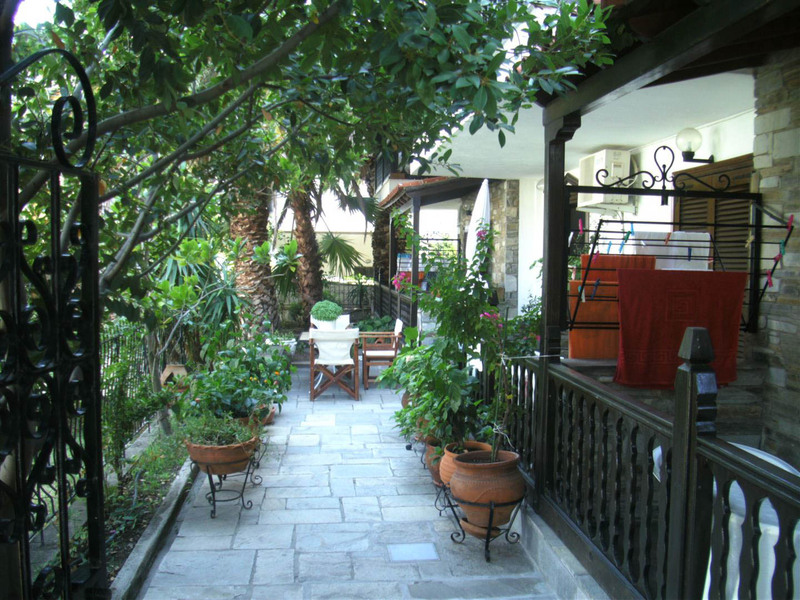 Check out our garden area and the external view of our accommodation unit. 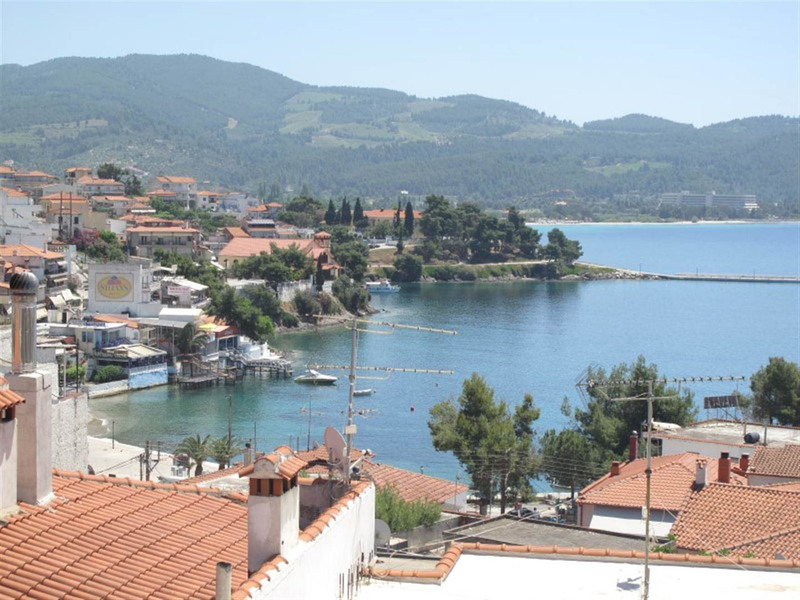 A few words and useful info about the beautiful town of Neos Marmaras and the local area.